I will never forget those words spoken to me by the PADI examiner on passing my PADI Instructor Exam (IE). As we glanced towards the ocean, it was one of those perfect days that make you feel very privileged to live in this great Australian land. Bright blue Sydney skies, sparkling clear waters lapping upon the picturesque Shelly Beach, family BBQ’s and crowds simply enjoying the last of the summer sunshine. Since my IE, quite simply, my life has changed irreversibly and I have certainly traded my traditional office and professional background as a Chartered Accountant into a life that is almost unrecognizable from before. Several years later and after certifying hundreds of divers and logging hundreds more dives, I would like to share some of my views on becoming an instructor. I wouldn’t change my life for anything and would recommend to any experienced diver contemplating life as a diving professional to take the plunge. The key word I stress here, however, is EXPERIENCED. And what I mean by experienced, is having had experience in a range of locations, water temperatures and conditions. Simply put, it is all about gaining hours in the water and every experience, good or bad, becomes a building block for knowledge and experience to be applied to future situations. I was a certified diver for almost a decade prior to taking the step into life as a diving professional. In that time, I had both fabulous diving experiences and, quite honestly some dreadful experiences too. Whilst I remember many of the fabulous experiences, it is the dreadful ones that I remember more. Strong currents, panic attacks, vis so bad I could not see my hands, getting lost, suffering paranoia during narcosis, buddies running out of air, gear malfunctions, aborted dives, getting caught up in fishing wire, Trigger fish attacks, the list goes on! These experiences have not only shaped the way I dive today, the way I read conditions, how I relate to nervous divers and anticipate problems, but, perhaps most importantly, have given me a library of stories that I can share in my teaching. For me, this experience is priceless. 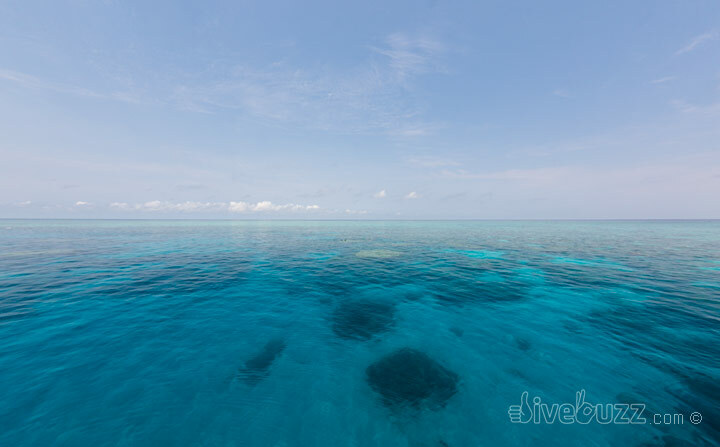 A 'glass out' day on the Great Barrier Reef - not all days are like this! So gain experience in all conditions. Zero to Hero training for instructors seems to be all the rage these days and, yes, it is possible that a newly certified Openwater Diver could be an instructor in six months time. I have had exposure to a number of such instructors in my time and, many of who, despite their lack of experience, have gone on to become credible and enthusiastic instructors. Similarly, I have had exposure to highly experienced instructors who, quite honestly are “over it” and do not offer the quality experience I would expect of someone so highly qualified and experienced. Generally speaking however, whilst there are exceptions to every rule, I believe the zero to hero divers, do not have the depth of knowledge I believe is essential to be a credible trainer and, in come cases, do not have exemplary dive skills. If you do not look good in the water, do not have great buoyancy, dive over weighted and chug through air as quickly as your students do, then really, no matter how well you can demonstrate mask clearing, are you a credible instructor? After all, these are the very skills you should be passing on to your students. Unfortunately, when asked, almost any new divers will believe that their instructor was credible, experienced and good at their job. The trust and rapport built with your instructor over an Openwater course and, the fact that students have no benchmark to compare their instructor to, makes a proper assessment difficult. Remember, diving is a serious sport and one in which instructors are responsible for peoples lives. With this in mind, undoubtedly, many would prefer to have an instructor who has had a sound depth and breadth of experience. To find out more about becoming a dive professional, contact your local Training Agency and ask how to start your exciting new journey to a different and fulfilling career. Before you do this however, the one piece of advice I have for you is go diving, then go diving more and more and more, any time you can, anyplace you are and with anyone you are with! After all, experience is priceless. If you have any questions about becoming a Dive Instructor, don’t hesitate to post them here and we’ll do our best to answer them! You may not like or personally approve that people can go from ‘zero to hero’ but PADI (or which ever agency the instructor candidate is with) make the rules not you. I went from Open Water diver to Instructor on a gap year in Australia and certified over a hundred student divers by the time I came home. I dived solidly from the moment I became a certified diver and I worked really bloody hard to achieve that. I got lots of experience leading up to my instructor course working with novice divers on an instructor internship with one of the larger dive companies in the far north Queensland (around 250 dives in total). While I don’t disagree that the more experienced you are prior to becoming an instructor the better it would be sad if this artical put someone off pursuing that dream. ALL my students were happy I was instructing them because they could sense how much passion I had for the job unlike many of the instructors I encountered who had been doing it over a decade who were admittedly “over it”. We were working in warm, clear, easy conditions and at the time that was all I had ever known, so what? To this day I believe those are the best conditions to learn scuba diving in and I took my new boyfriend to the Red Sea for this reason to learn from here in the UK. Breadth of knowledge is good to have, of course it is but it isn’t necessary to know drysuit diving (for example) if you’re only ever in tropical conditions. I’ve also seen a lot of so called experienced instructors totally struggle to keep within the scope of the course they are doing so often when they just can’t resist telling their students about when they used to work commercially on oil rigs for instance and confuse the hell out of the students they are instructing. Out in Australia I encountered a lot of resentment from some of the 10 year+ instructors because they were essentially working alongside someone who was doing the same job role as them without so much experience and most likely getting paid the same too. I used to think that if they don’t agree with the rules then they should go and work for PADI and try and change them from the inside or consider doing something completely different themselves. I also worked with some truly wonderful experienced instructors who were kind, supportive, passionate and an inspiration. The fact remains that if you are really dedicated and prepared to work consistently at it, then it is possible to achieve it which is why the rules aren’t different. Instructing isn’t rocket science after all, recreational dive instructing is about guiding a few people at a time through a fun course with the aid of some very good materials that have been devised by educational experts that have been tried and tested and tweaked over many decades to help you and make it as easy as possible. In the far North Queensland it was also about taking even smaller groups on introductory dives just so they could see the Great Barrier Reef while they were on holiday without doing the whole Open Water course. It was hard work as the boats were big and the tourists were great in numbers and the pressure was higher than it might have been in other destinations because of this. The H&S laws in Australia are stringent though and systems on the boats were tighter than I have seen in most other places because they had to be when dealing with such big numbers. The instructor Exam (IE) was spread over 3 days and one of the scariest things I have ever undertaken in my life. Imagine if a driving test lasted for that long! There is a good reason for that too which was to really make sure that all those undertaking it were ready and able to cope with what instructing is going to throw at them. Not everybody passed it on the exam I attended either and we all felt sorry for the ones that failed after they found out at the end of day 3, which fortunately was no-one from the company I learned with. I wanted to post this reply because I would not want anyone considering doing this to be put off if they aren’t already an experienced diver. The fact remains that 1 or 2 year working holiday visas are possible to get in some amazing places but only if you are the right age. Since I have been home again I have progressed onto UK diving which is infinitely more challenging than diving in tropical water and of course I didn’t launch strait into instructing here without first gaining the necessary experience. I have found that everything about diving here seems to take longer to achieve and cost more. The gear needs to be more robust and is therefore more expensive and the weather is often against you. Boats can and will refuse to go out when the conditions are too rough which happens frequently. 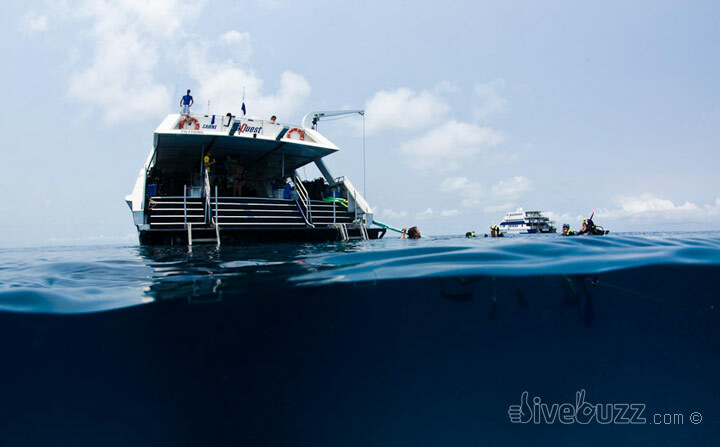 I know very few people that can make a full time living from diving here, whereas in other places where conditions are more favorable there is diving work for many. Advantageous skills are fluency in foreign languages, marine biology degrees and boat handling/sailing/engineering qualifications, none of which I had but I still made it through. For me diving wasn’t something that I wanted to take center stage of my entire life forever as I’m a creative soul at heart and ultimately need to express myself creatively in the work I do which I found instructing did not fulfill. As an amazing life experience that has inspired much of my life since I did it though I would probably find it hard to top. To spend a year or 2 (or more) travelling and living in different parts of the world while working with people from everywhere is awesome. Getting through the instructor exam and doing it will give you confidence to achieve anything you set your mind to afterwards too and the friends you make along the way will often be lifelong. The things you learn about the ocean are amazing too and for me have directly inspired much of my design work since then too. My advice; don’t delay just go for it if it’s what you want to do. Even if it doesn’t remain your office forever it will be an experience that you’ll never regret. Thanks for your comments Noodle. I don’t disagree with you, and in fact I cover some of your points in the article. I personally know some great instructors that have gone from zero to hero. However, I’d still reiterate that experience is priceless, so I would encourage anyone who wants to be an instructor to do as much diving as possible. Victoria Parr: ‘Experience is priceless’ – should be a dive mantra really. Mathew Fisher: Fantastic article. Hate the zero to hero route. Nothing worse than a dive professional being last to gear up or ending a dive early as they’ve run out of air. Jenni Slabbert: You have again touched the “this makes sense” spot. I had done over 300 dives and was still saying “I am a beginner” and “not sure I know what I am doing” because that was the reality in the varied conditions experienced. Some divers and instructors have a natural affinity to their surroundings and thus are more aware and better able to cope with the funnies that can arise from nature’s surprise sources, but for most people the only learning curve is hard experience. Without question, the more diverse the experiences and the greater the number of dives, the more chance there is that the diver will be able to adapt to what the sea presents. However, the reality is that it is a very big and powerful ocean out there and nature has greater control than any human! Humility is paramount, reality checks help and as much experience as one can get contributes a heck of a lot!